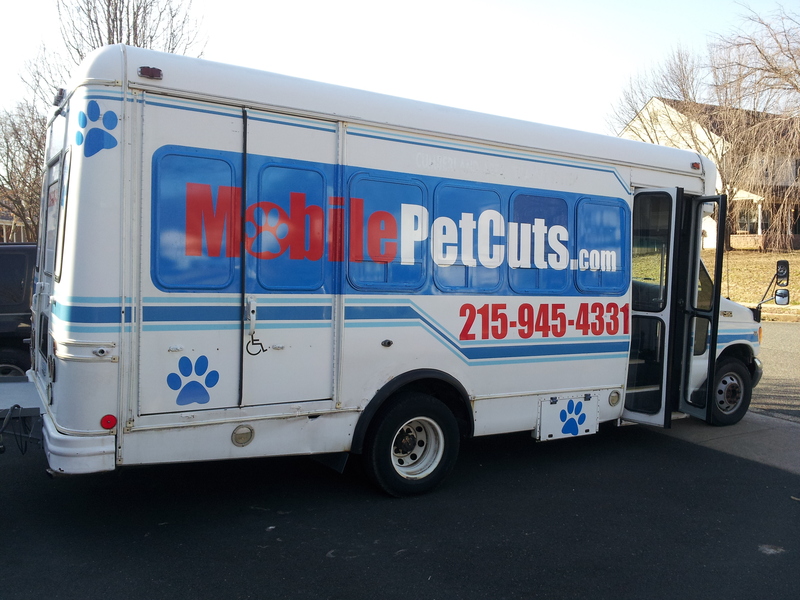 Our newest grooming unit is a converted shuttle bus. It has countless amenities and all top of the line equipment for your dog’s comfort and safety. 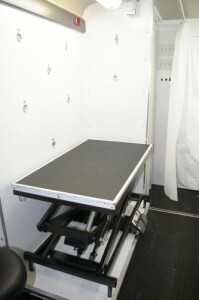 The bus also has an electric lift table to make it easy for dogs to get on and off. It has an extra large tub so any size dog can be comfortable and we have the room to get them completely clean. 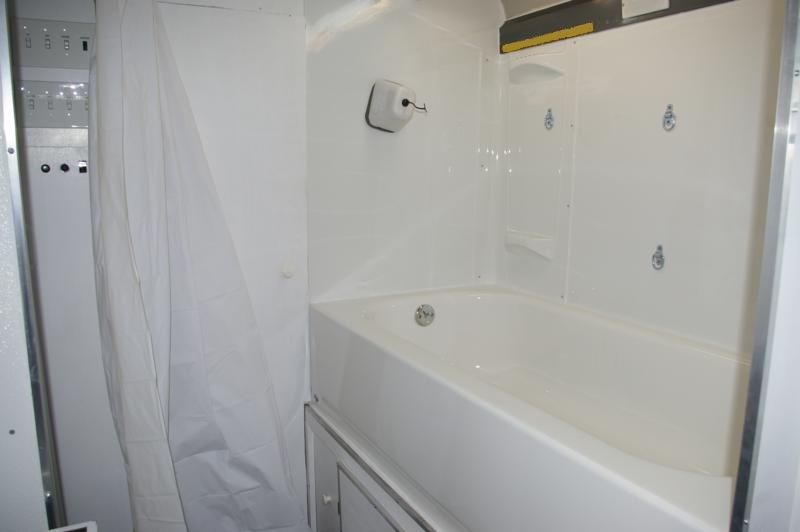 In addition it carries extra water so there’s no skimping on the bathing. Every surface is designed to be washable to ensure a clean and sanitary environment for your pooch. We also use the absolute best versions of all equipment and products. 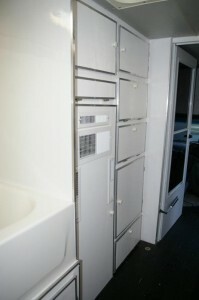 Like our extra large hair dryer that most mobile groomers can’t carry. It gets your dog dry quicker and with less stress. We take care to use the strongest clippers built, they allow us to power through any coat without pulling the hair. And of course we use only premium shampoos, creams, cleansers, etc. No need to pay for a shampoo upgrade just to get a clean, soft and pleasant smelling dog, our standard shampoo is the best in the industry. It has a great baby powder scent and feeds the skin and coat. You’ll be amazed how clean your dog is! 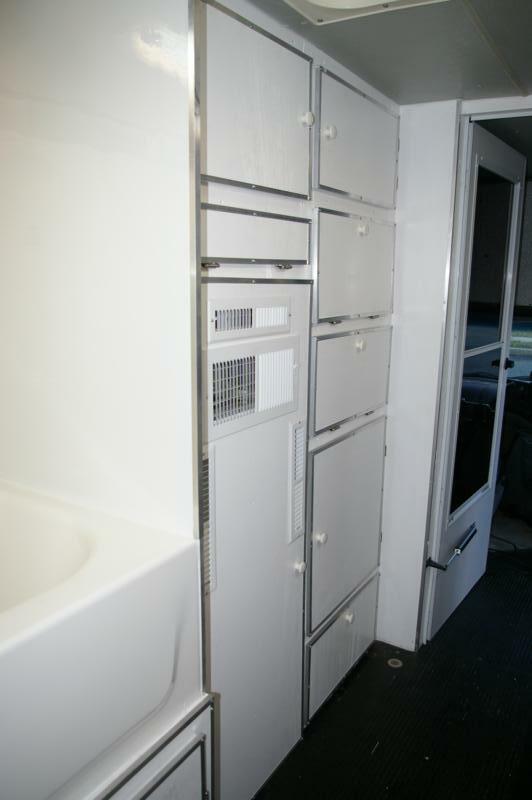 Plus countless other amenities that other mobile groomers can’t match, Let alone salons! Ask us about our equipment, products, or for a tour anytime!